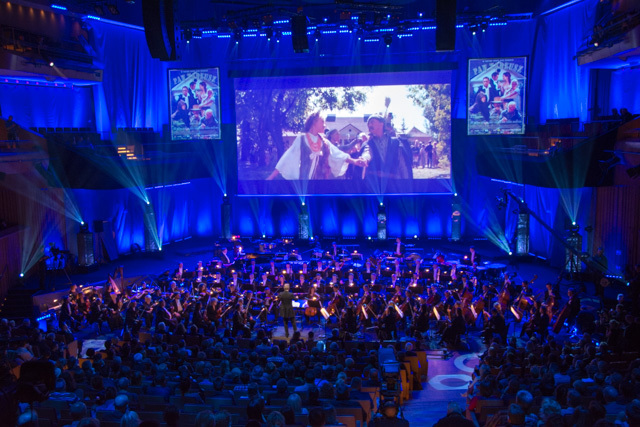 For the 8th time in Poland the Krakow Film Music Festival took place. After two years in September the festival was back on his traditional month May. Last year we needed thick sweaters in the cold factory hall. This year it was not needed any more. The factory hall which filled me with good memories of awesome concerts is replaced with the newly build congress hall in the centre of the town. This year there were again meetings organized to speak and listen with people in the film music industry. Most of the meetings were also at the new congress centre. Next to meetings there was also a room created by Varese Sarabande where you can meet your favourite composers for a signature or a photo. Big names like Trevor Morris, Ramin Djawadi and Elliot Goldenthal could be found here. Again for young composers there were master classes organized. It was a good opportunity for them to talk and learn from the big names in the industry. Sadly alle the master classes were behind closed doors. So this year we could not get a peak in to see all the awesome stuff they do. This year the concerts were divided over five days instead of four. The first day was a special one. The cinema was the stage of the music group Critical Hit. This American group with Polish guest players played music of video games in their own unique way. All the classics like Zelda, Mario, Pokemon, Angry Birds and Tetris were played. They used instruments like piano, guitar, bass guitar violin, electric cello and flute. 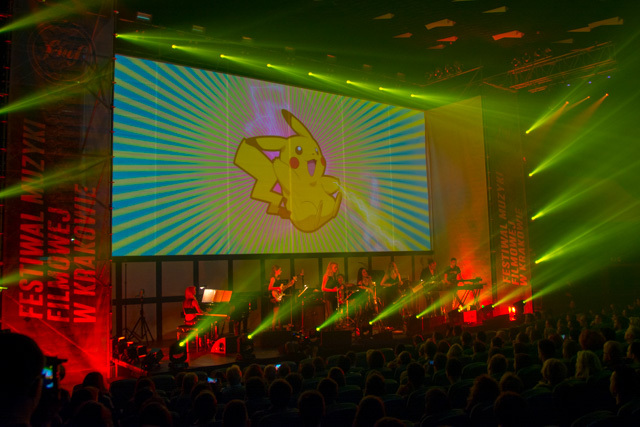 An interesting concert with a lot of light effects and video images of the games. This concert was so popular that apparently it sold out in like three hours. 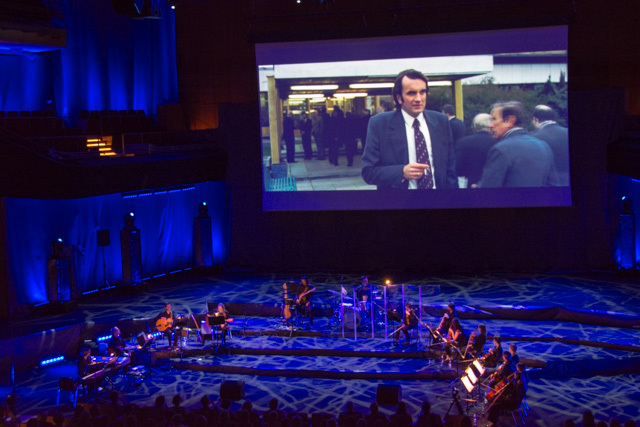 The second concert was to celebrate the movies of the 89-year old Polish director Andrzej Wajda. Music of his movies were played. Music from the late Wojciech Kilar was played as well as music from Krzysztof Penderecki who was in the audience. It was a nice concert in the new concert hall of the new congress centre. Some music pieces were familiar. Others were never released. It was quite getting used to the speakers at the ceiling while the orchestra played below on a lower stage. It was a bit confusing where the sound was coming from but I got used to it. The third concert was Shakespeare themed. At this concert lot of effort was put in images, light effects and choreography. Apparently this concert was recorded, there were a lot of camera men on stage that where in my humble opinion a bit too visible on stage. Before the intermission music was played from the more traditional composers like Patrick Doyle, Stephen Warbeck and Jocelyn Pook. After the intermission it was Elliot GOldenthal’s turn to show off his work of Titus, Othello and The Tempest. The evening ended with a Klezmer-like tune from The Midsummer Night’s dream. If you are a Goldenthal-fan you were in for a treat. The fourth concert was a big TV show gala in the Krakow Arena. During this concert music was played from TV show composers who were almost all present that night. Music of for example Trevor Morris, Jeff Beal, Daniel Licht, Atli Orvarsson, Bartosz Chajdecki and Ramin Djawadi. It was an entertaining night with easy going music for every one. Daniel Licht and his musical associate gave a nice show in the Dexter suite where they used duc tape knives and scissors as percussion. Highlight for me were Djawadi’s Game of Thrones and the Czas Honoru / Misja Afganistan combination written by Chajdecki that got me into tears. Also awards were given out during this concert. The young composers award went to the Italian composer Antonio Di Lorio. Sadly our own Dutch composer Joep Sporck did not receive a price with his fourth place. The FMF ambassador award went to conductor Diego Navarro. On the last day there were two concerts. Both were movies with live music. The first movie was the Polish movie Bogowie with music from Bartosz Chajdecki. Bartosz himself playing the piano accompanied by a drummer, three guitars, bass guitar and a string ensemble. The sold out congress hall could enjoy the music they produced. What a movie and what a music! For me this was the highlight of this years festival. The closing concert of this festival was Star Trek with music from Michael Giacchino. Sadly the composer was not with us. This is a good movie and a good music. As an encore a suite was played of the new Disney movie Tomorrowland. It was again a good festival. The concerts are getting bigger and bigger. It is even getting so big that sometimes I miss the smaller more intimate concert of the previous years.